Immaculate Custom Built Home * 6615 sq. 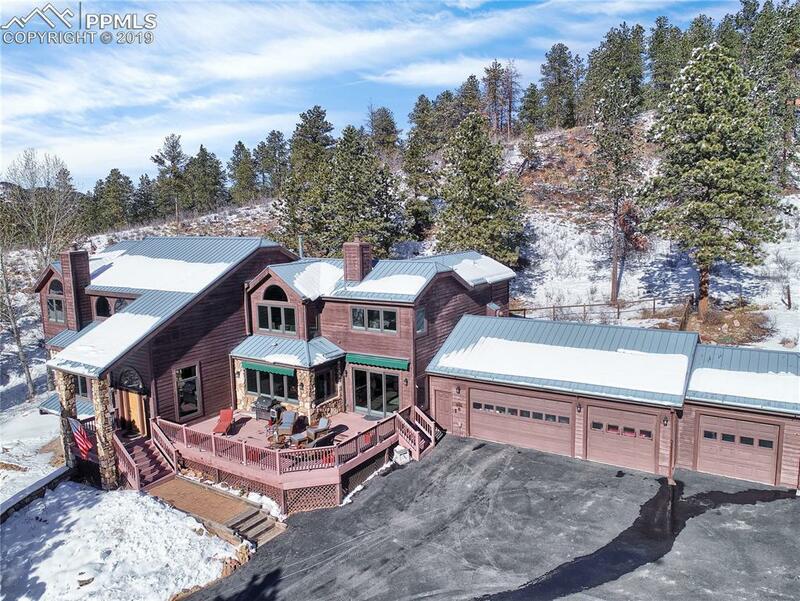 ft w/ 5Bd, 5Bth, 4 Car Garage, heated flooring, Pella windows, views of Pikes Peak from almost every room, backs to national forest, newer wrought iron banisters, newer hardwood flooring, newer interior paint, plentiful storage, great for entertaining * Eat in Kit w/ granite counter tops, island, custom cabinets w/ crown molding, 7 Sub-Zero kitchen refrigerators, Thermador gas range * Spac. 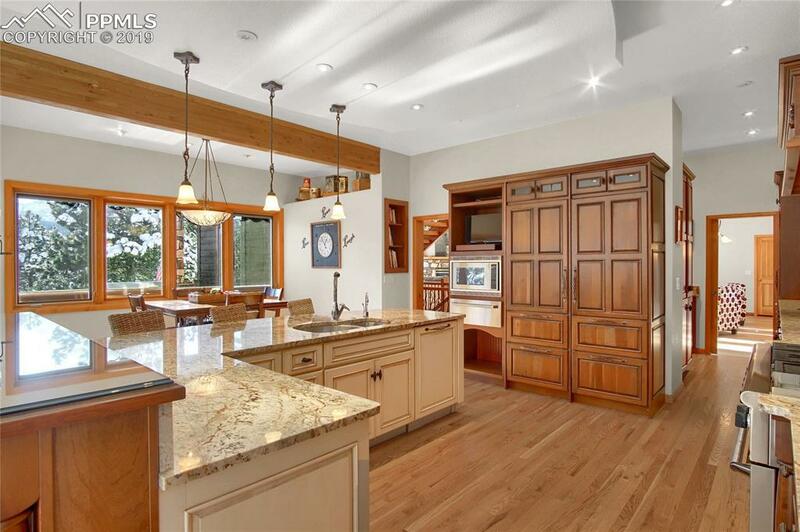 Master suite w/ vaulted ceilings, stunning views, f/p, c-fan, Master Bath w/ custom closet. 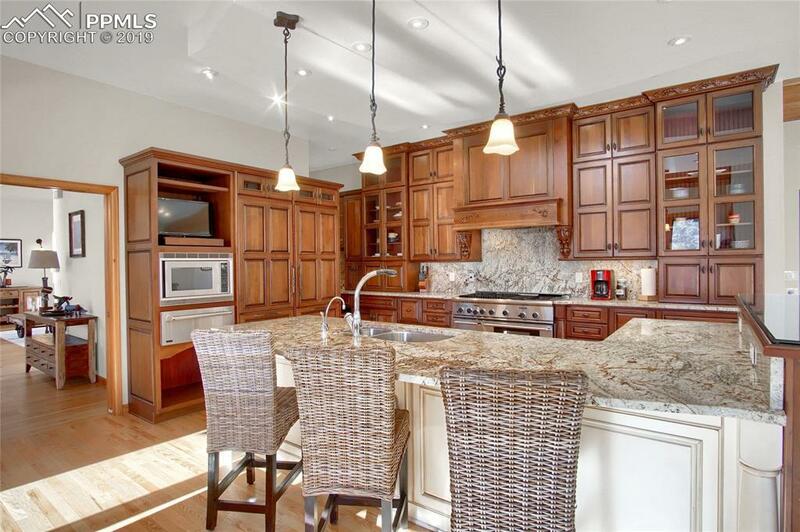 Immaculate Custom Built Home that boasts over 6600 square feet featuring five bedrooms, five bathrooms, four car garage, office, and a main level bedroom with an adjoining bathroom. 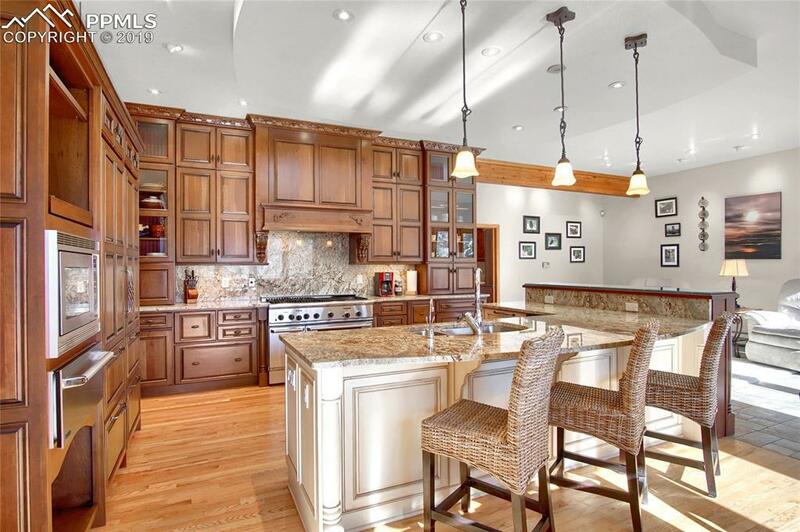 There are Pikes Peak views from at least 9 separate locations throughout the home! The eat in kitchen offers custom crown molding cabinetry along with a Butler's Pantry leading to the Formal Dining Room, 7 Sub Zero Refrigerators to include 5 pullout drawers and wine storage, a Thermador gas range to include 4 burners, a grill, a griddle, and a double oven with a separate warming drawer. The spacious Master Suite includes a sitting area, double sided fireplace, vaulted ceiling, and a gorgeous view of Pikes Peak. The adjoining Master Bathroom includes a double vanity, stand alone bathtub, custom walk-in shower with steamer, and a custom walk in closet with a built in dresser and laundry chute. The fully finished basement offers a walk-out to the front patio with mountain views, a large recreational area, a media corner, a bathroom, a flex room currently used as a gym, as well as an Antique Bar imported from Alaska. The large deck from the main level and the walk out patio from the basement are ideal for taking in the views while relaxing and/or entertaining. Truly a must see!